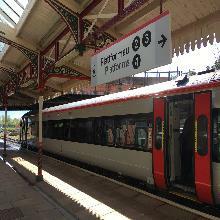 Strong winds Wrexham have caused travel delays this morning, with several roads blocked due to fallen and cancellations to some train services. 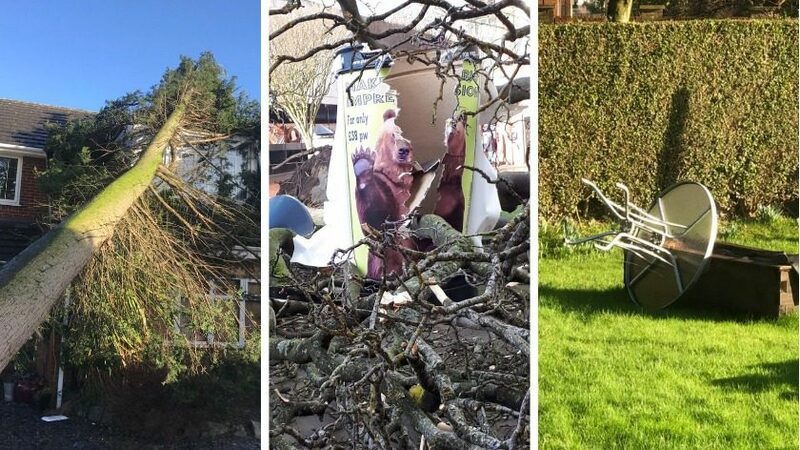 UPDATE 12:45pm: We’ve spoken to the leader of Wrexham Council, Cllr Mark Pritchard, who told us: “Our crews were aware that the high winds were coming and they were prepared to responded. A view from another angle shows it has ‘made an impression’ and hit a bear! Tree down on Lake View; I’ll report it as soon as I’m back from doing the rounds. Thankfully it doesn’t look like it’s done any damage. Across Wrexham gusts have reached over 50mph, with a Met Office yellow weather warning in place until 2pm this afternoon. Locally a number of trees have fallen down overnight and this morning, with some roads in the area blocked as a result. 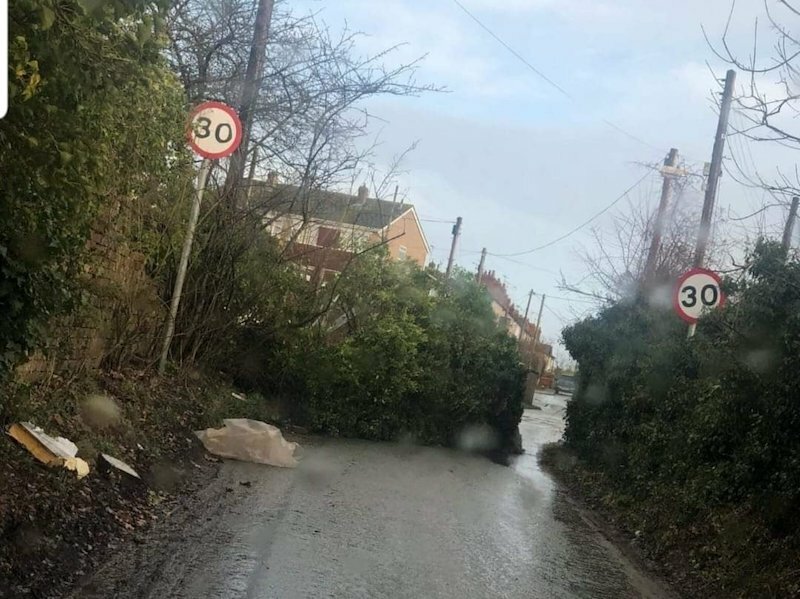 NWP Wrexham Rural say a large tree fell down on Minera Road in Brymbo near the Ffrwd Pub overnight – causing the road to close in both directions until the tree had been removed. Elsewhere the Old Wrexham Road in Gresford is blocked, with Cllr Andrew Atkinson sending us the image below this morning. A tree has also come down on the Old Mold Road between Gwersyllt and the B&Q Roundabout, with one side of the road closed while removal work takes place. We’re told the tree came down before 7am this morning. North Wales Police say: “Mold Road and Old Mold Road in Gwersyllt have now been reopened. Another tree is also down on the Chester Road / Prices Lane Roundabout near town. @wrexham A tree has come down onto the road partially blocking the roundabout at Chester Road and Prices Lane. Take care if you need to drive out there today! A fallen tree on the train track at Caergwrle is also causing issues on the Wrexham to Bidston route, with delays expected to be in place until 10am. @wrexham Potential power cut in Coedpoeth due to the high winds. @wrexham power cut just now….just me or wider in coedpoeth ? The Met Office say: “A swathe of very strong westerly winds is expected to move east through Saturday morning, easing from the west during the day.